We have seen Rogue One: A Star Wars Story and we are here to tell you about it. Mark & Matt are joined in studio with their Rebel Radio co-host Frank as the trio discuss the newest movie in the Star Wars universe. We go full rogue as we break down various elements of the film and beware, there are spoilers! Where does Rogue One stand with us in the Star Wars patheon? How was that CGI of an actor brought back with movie magic? How did Rogue One fit so wel linto the Star Wars timeline? It's all here as we break it down and more! 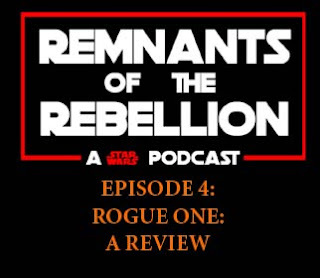 Enjoy our look at Rogue One: A Star Wars Story and thanks for listening!